If the stamp escapes franking, an increasingly shabby envelope can travel between us for months, ferrying cargoes of new poems, images and a letter. We met a dozen years ago in London, bonding over confessions of how much we wanted our poems to be good – and to publish. For years we met monthly to share vegan cakes, new work and discuss what we were reading. When Katrina moved to Cornwall in 2014 we reluctantly gave up the cakes but added the Post Office into the familiar mix – along with an agreement to write a brand-new poem each month in response to one written by the other. We quickly became addicted to the process. We found it so fruitful that we added a second, more visual, conversation in which we exchange images to write from, again on a monthly cycle. We also critique a batch of each other’s poems each month. The envelopes keep getting fatter, and tattier. We’re loyal to the letter, only using email when we’re abroad. Plotting the trajectories of our poem exchanges would require a moderately complex SkyMap: Japan (Katrina has just returned from an Arts Council-funded project); Grasmere (Judy spent a year as Poet-in-Residence at Dove Cottage); Hong Kong (Judy’s old home); Katrina’s residency at the Arnolfini (Bristol) and the Brontë Parsonage (Haworth); and our residences at Gladstone’s Library and Hawthornden Castle (but at different times) – plus London, Derbyshire and Cornwall. We were both committed letter writers before we met, but our poems and our processes differed considerably. They still do, despite the transference of ideas such a long-term collaboration catalyses. Yet if something gets skimped from the envelope, it’s the letter not the poems. This is partly because the poem exchange is also an exchange of information. And it’s exciting – not just because of time pressure and the surprising (and often uncomfortable) triggers, but also because of anticipation about what the other will come up with. Sometimes what our poems have to say is pure trickery or excitement about technique. They may spin off of current preoccupations or whatever we’re trying to hit in our own process. It’s great to have a trusted recipient for this, but even better to have one who lobs back something fresh and alive in answer to our own puzzles, poetic and personal. It can be a refutation or refusal of a technique, a subject or a pronoun – you never know what’s coming! But you know you have to respond to the other’s poem and visual image, whatever you’ve made of it, mostly because of our shared urgency to write but also because we promised. Both our recent second books contain many poems which have emerged from this deadly serious game. Deep familiarity with each other’s process and the differing ways we transform material has increased our respect for each other’s work but our critiques aren’t soft. As friends, we may know a little too much about the underlying raw material, but that too helps us see what’s a real poem and what’s just diarising. Sometimes the line blurs for us – is this two women talking or something more impersonal, two poems talking to each other? Do we care? Not really, as long as we get a proper meet-up once in a while and can go to the pub or on a walk, have a dance or a curry, leaving the poems behind for – well, at least for a couple of hours. 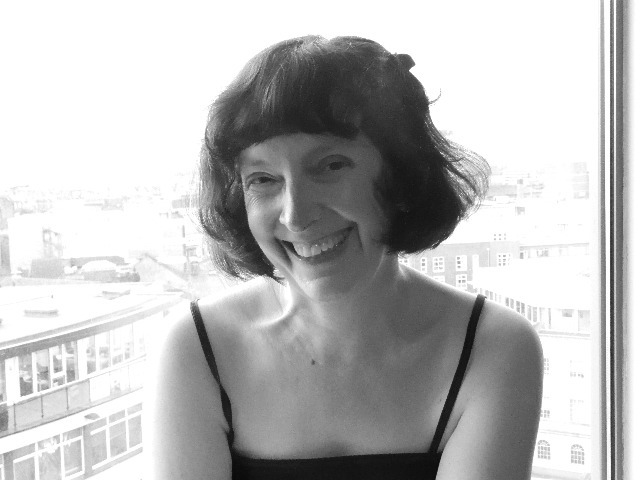 Crowd Sensations, Judy Brown’s most recent poetry collection, was published by Seren in 2016. 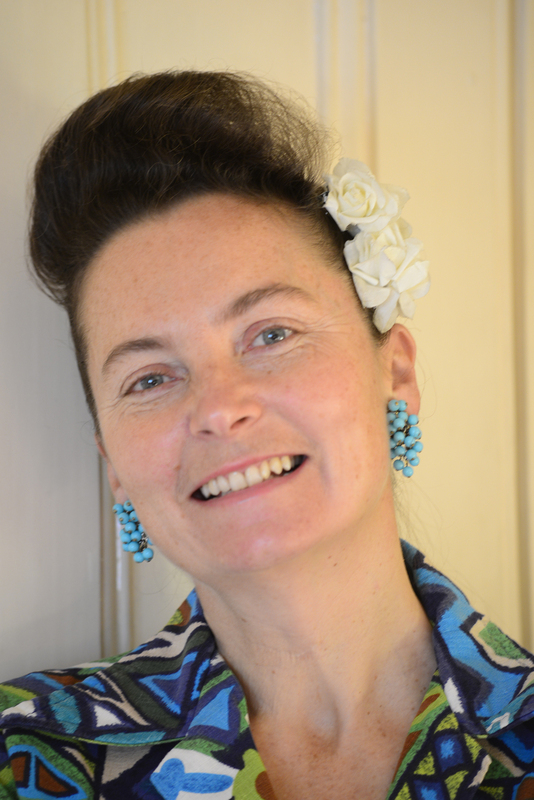 Katrina Naomi’s most recent collection, The Way the Crocodile Taught Me, was also published by Seren in 2016. Working on our book, A Secret Sisterhood, has given us the perfect excuse to visit some of the places most associated with our literary heroines. Some of these, such as Jane Austen’s former home at Chawton, are geographically close to where we live. 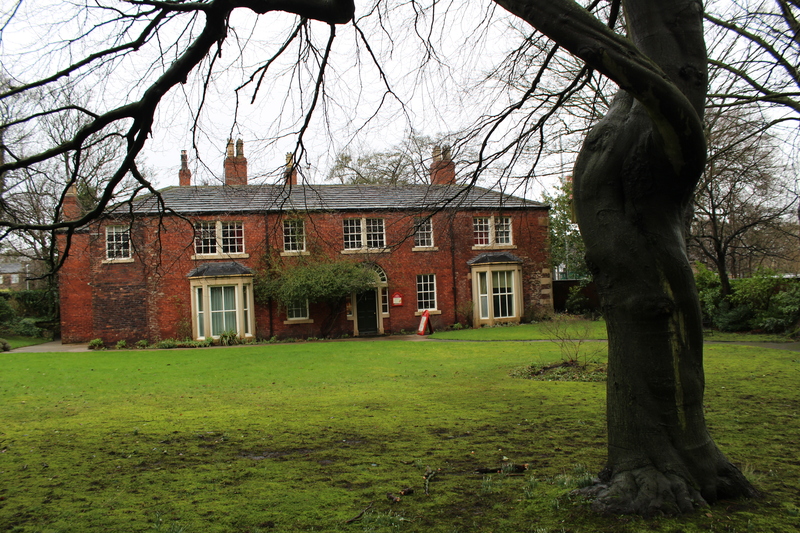 Others, like Harriet Beecher Stowe’s house in the Connecticut town of Hartford, or the site of the school Charlotte Brontë attended in Brussels – both on the agenda for research trips this month – are considerably further afield. A few are fixtures on the tourist trail, attracting many thousands of literary pilgrims each year; others are not usually open to visitors; others still, though they welcome the public, are nowhere near as well-known as they deserve to be. A couple of months ago, I returned to my home county of Yorkshire to gain a stronger insight into the close and startlingly frank bond between Charlotte Brontë and Mary Taylor. Regular readers of Something Rhymed may recall that I visited the Brontë Parsonage with my sister as a child – the two of us spending a long time in the gift shop picking out souvenir brooches bearing the images of Charlotte and Emily Brontë. 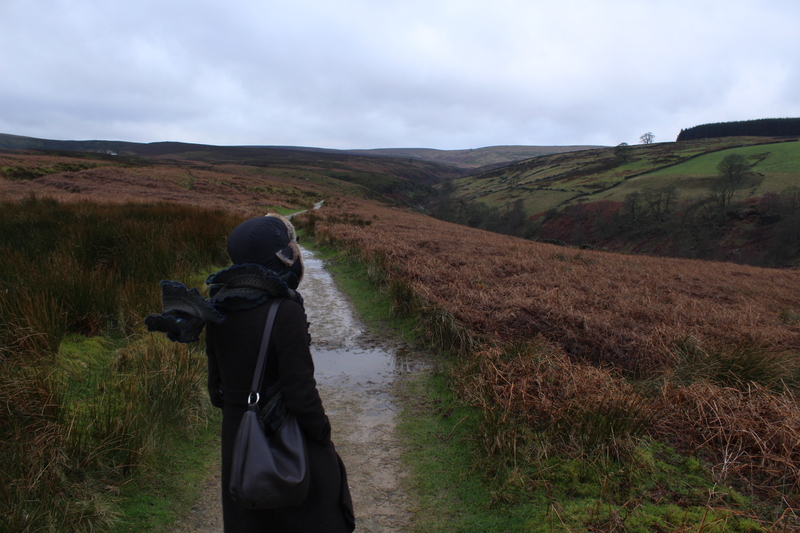 Walking on the moors by the Parsonage – as you can see from my flying scarf, there was a typically wuthering wind! Once again, on this most recent trip, that famed grey-stone building on the edge of the moors was back on my itinerary. But this time I sought out other locations too: the house purchased by the intrepid Mary Taylor in her later years, once she’d returned to Yorkshire from New Zealand; the boarding school she and Charlotte Brontë attended as teenagers; and Taylor’s family residence, the Red House. Situated in the village of Gomersal, its pleasant gardens and warm red brickwork make Taylor’s old home a welcoming sight. Inside, the marble-like pillars and wide-open balcony above the entrance hall give a markedly different impression from the dim downstairs corridor of the Haworth parsonage where her friend, Brontë, grew up. The Red House – photographs of the interior of the house, including the stained glass and paintings mentioned in this post can be viewed on their website. Thanks to the writings of both women, some features of the Red House felt pleasingly familiar to me. In her novel, Shirley, Brontë reimagines it as Briarmains – the home of the Yorkes, who she based on the lively and opinionated Taylor clan. And in letters Taylor wrote to Elizabeth Gaskell, when she was preparing to write her biography of Brontë, Taylor recalled her late friend’s visits to the Red House – occasions when the once socially-conservative young Brontë was coaxed out of her usual reticence to engage in lively political arguments with the radical Taylor siblings. Walking through the rooms of the Red House that day, scenes I’d last experienced in the written words of Brontë and Taylor kept resurfacing in my mind. It was a thrill to go into the back parlour and pick out the pair of stained glass windows and picture of Mount Vesuvius erupting – mentioned in the pages of Shirley – and to imagine the young Brontë first coming face-to-face with the drama of that painting, and the sparkling purple and amber lights bouncing off the panes of stained glass. We’ll look forward to sharing many more stories about the Red House, and Brontë and Taylor’s fascinating friendship in our forthcoming book, which comes out in late 2017. Discussing Jane Eyre together in March, made us curious to read Mary Taylor’s ground-breaking feminist novel, Miss Miles. Rather than doing an audio interview, this time we’ve decided to vary things by giving you our thoughts in a video, which we’ll post two weeks from now. We hope you’ll come back then to take a look. Back in 2014, we profiled Charlotte Brontё’s friendship with the author of Cranford, Elizabeth Gaskell. Theirs was a fascinating bond, but – important though Gaskell was to Brontё – another writer, Mary Taylor, had an even greater influence on her life. Brontё met Taylor, the future author of the feminist novel Miss Miles, in 1831 when they were teenage boarders at Roe Head School near Huddersfield. Their relationship got off to a rocky start when pretty Taylor told the pale, frizzy-haired new girl that she found her very ugly – a typically outspoken remark, and one from which Brontё would never fully recover. But the pair’s bookish natures and their love of political argument soon drew them together, with Taylor’s bold and radical views opening Brontё’s eyes to fresh ways of thinking, especially in terms of the place of women in Victorian society. 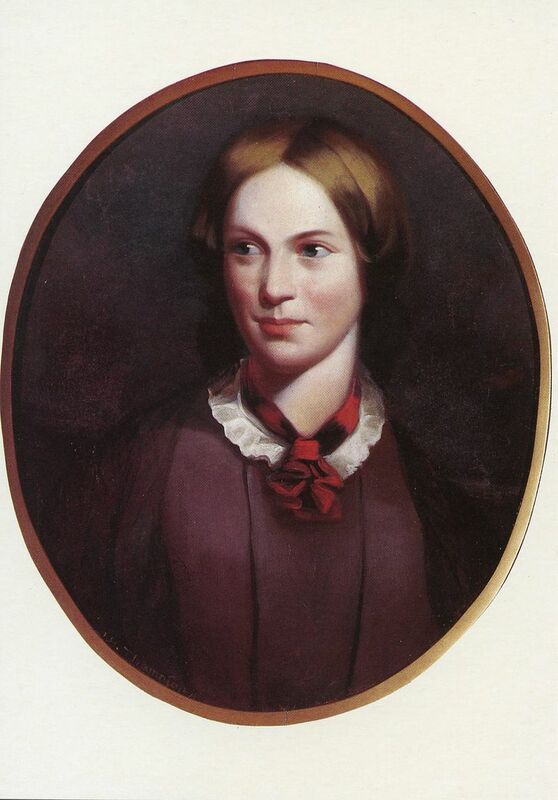 Charlotte Bronte painted by J.H. Thompson – this image is in the public domain. After leaving school the next year they kept in touch by letter and paid visits when they could to each other’s houses: the now-famous parsonage at Haworth where Brontё lived, and Taylor’s home the Red House at Gomersal. A decade later when they were in their mid-twenties, Taylor’s encouragement gave Brontё a ‘wish for wings’. The two daringly left their native rural Yorkshire and headed for urban Brussels, to continue their education at separate schools in the Belgian capital. The Pensionnat de Demoiselles Heger-Parent, where Brontё enrolled, was to become the scene of one of the most infamous episodes of her life – the place where she fell desperately in love with her temperamental tutor, the married Constantin Heger. Taylor, ever hungry for greater independence, soon moved on to Germany and took a position, controversially, teaching young men. Friendless and alone in Brussels, Brontё eventually realised that her position at the Pensionnat was untenable and returned to Haworth. Taylor, on the other hand, decided to set-sail for an even more distant destination – New Zealand. On learning that the two would now be separated by thousands of miles, a devastated Brontё remarked that it felt as if ‘a great planet fell out of the sky’. To most, including herself, it looked as if Taylor was the true adventurer. But Brontё was beginning to break new ground too. While Taylor pushed her literary ambitions into the background – concentrating instead on the daily challenges of her brave new life – safe within her childhood home, Brontё was finally getting the chance to write. In 1847, Brontё tasted success for the first time when the publication of her first novel, Jane Eyre, caused a nationwide sensation. 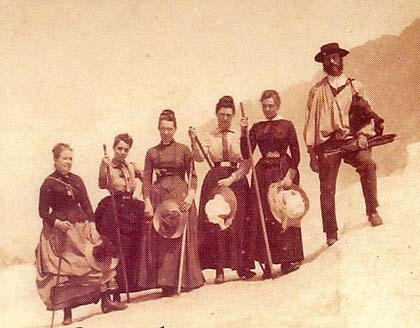 Mary Taylor (far left), climbing in Switzerland at the age of fifty-seven. We asked the Red House museum for their permission to use this image. Taylor, who’d continued to correspond with Brontё during her time in New Zealand, returned to Britain in 1860, five years after her friend’s early death. She kept on travelling into her later years. Aged in her fifties, she joined a female mountaineering expedition in Switzerland, which resulted in the jointly-authored book Swiss Notes by Five Ladies. Owing to the distractions of her intrepid life, her novel Miss Miles wasn’t published until 1890 when Taylor was in her seventies. Like Brontё’s novel, Shirley – for which Taylor provided the inspiration for the plucky character of Rose Yorke – it can be regarded as a book that celebrates the enduring power of female friendship. Later this month, we’ll be doing another audio interview. This time we’ll be discussing Charlotte Brontё’s novel Jane Eyre, and Mary Taylor’s forthright reaction to the book. If you missed our previous interviews about Jane Austen’s Emma and Maria Edgeworth’s The Absentee, you can catch up on what we talked about then by scrolling down to those earlier posts. For those who’d like a quick refresher, Jane Eyre is currently BBC Radio 4’s 15 Minute Drama. You can listen to episode one of the adaptation here.